Are you looking for a furry pet? Scroll down and pick your choice! There are species that look beautiful and attractive because of their bright coloration. Other species are pretty for their unique look while some animals are cute because of their peculiar structure and fur. One of the cutest furry creatures on the face of the planet is the Pink Fairy Armadillo or Chlamyphorus truncates. It is also commonly called Pichiciego. This cute-looking animal is the smallest armadillo species. It can be found in Argentina. This nocturnal animal inhabits dry grasslands and sandy plains with thorn bushes and cacti and can grow up to11.5 cm. This creature is amazing because it has the ability to bury itself completely in a matter of seconds if frightened. This is a lilac, orange and white Satin Peruvian Guinea Pig. This breed is one of the most popular in the world due to their long, silky hair. Another cute-looking furry animal is the Southern Marsupial Mole or Notoryctes typhlops. This marsupial is similar in appearance to a mole and it can be found in desert of southwest Australia. Like the Pink Fairy Armadillo, it is adapted to a burrowing way of life. The cute-looking silky fur of this creature with large, shovel-like forepaws help it moves easily. This eyeless animal feeds on larvae and earthworms. 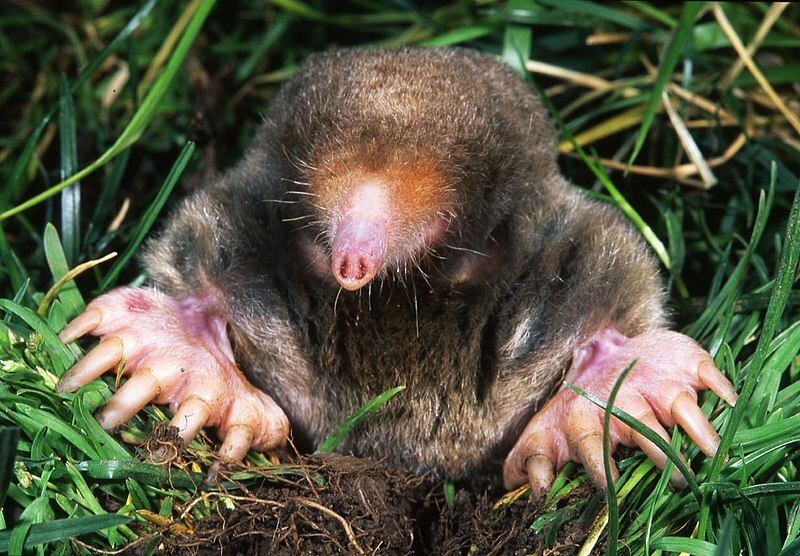 Another eyeless, furry but cute animal is the Eastern Mole or Common Mole. This medium-sized North American Mole’s scientific name is Scalopus aquaticus. It has large, hairless, spade shaped forefeet adapted for digging and it can be found in Canada, US and Mexico. Earthworms are its principal diet. Undeniably, one of the coolest-looking furry animals is the Angora Rabbit which is known in the Turkish language as Ankara tavşanı. This lovely-looking variety of domestic rabbit is bred primarily for its long, soft wool. It is one of the oldest types of domestic rabbit and it originated in Ankara, a city in Turkey. Do you like furry cats? The Turkish Angora is perfect for you. It is called Ankara Kedisi in the Turkish language. This breed of domestic cat is one of the ancient, naturally-occurring cat breed that originated in Ankara which is formerly known as Angora, hence the name. Chow chow is not just cute it is also unique not only in appearance but also some of its traits. This breed of dog that originated in China is a sturdily built dog, square in profile, with a broad skull and small, triangular, erect ears. 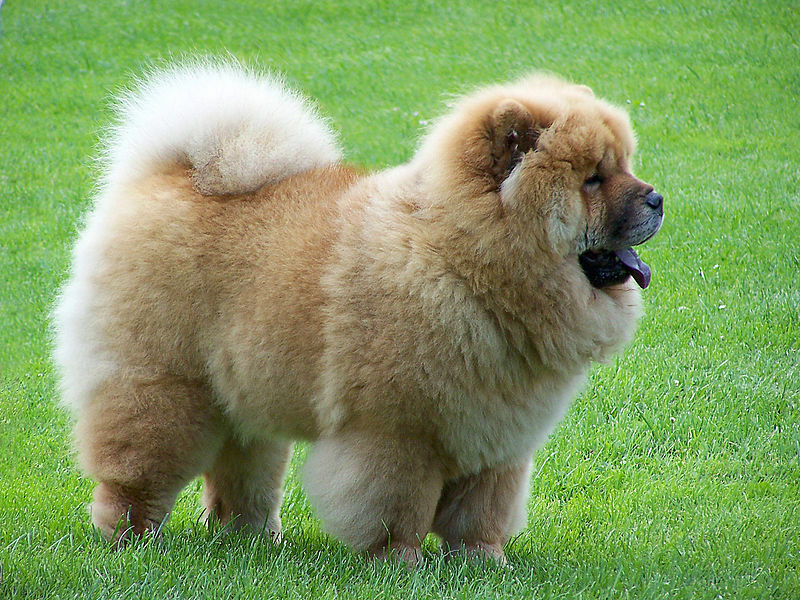 In china, it is known as Songshi Quan, which literally means "puffy-lion dog". Chow chows have blue-black tongue. Some breeds of goat are now becoming popular pets. You may want to consider the Dutch Landrace Goat as one. This long-haired goat breed is one of the original breeds found in the Netherlands. One breed of dog with the longest hair is the Afghan Hound. This attractive dog is one of the oldest sighthound dog breeds in the world. It is remarkable for its thick, fine, silky coat and its tail with a ring curl at the end. It originated in the cold mountains of Afghanistan. Icelandic Horse is a unique-looking horse developed in Iceland. This long-lived and hardy horse breed is the only breed of horse in Iceland. Icelandic Horses are also popular in other parts of Europe and North America. This horse breed is still used for traditional farm work in Iceland. Keeshond is a handsome-looking breed of dog with a plush two-layer coat of silver and black woolen fur with a 'ruff' and a curled tail. This medium-sized dog originated in Germany and is closely related to the German Spitz. The Highland Cattle is a hairy breed of cow. It is also known as Kyloe. This ancient Scottish breed of beef cattle that developed in the Scottish Highlands and Western Isles has long horns and long wavy coats which are colored black, brindled, red, yellow or dun. It is also exported in North America and Australia. These really are magnificent animals. A great article, Nobert. I miss you on Triond. Welcome to my blog! All posts on this blog are all about animals. If you are searching for the most interesting and amazing facts, most colorful animal pictures and other extraordinary or weird features about the coolest creatures on Earth, this is the site you are searching for. Hope you enjoy your visit to my blog. Happy landing! I am a person of varied interest. It has always been my desire to learn and impart what I learned.